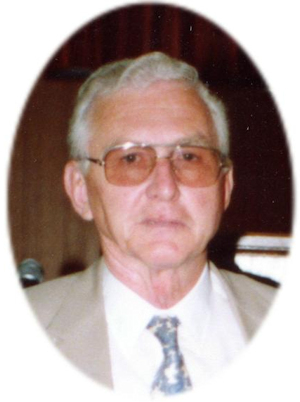 Obituary – Boone, Norman Wells « Perry High School Alumni Association, Inc.
After only a brief illness, Norman Wells Boone died peacefully and courageously Tuesday morning, August 23, 2011. Norman began life in the family farmhouse on Little Cowhouse Creek in Hamilton, Texas on September 2, 1928. His great grandfather, Jacob Hickman Boone, homesteaded the Cowhouse Farm in 1865 and proceeded to raise their children there. In 1994 Norman started researching and recording his family history. His research spanned the Atlantic Ocean and the majority of the United States. He was always excited to share stories of the ship captains, Revolutionary and Civil War heroes and hardy pioneers that graced his family tree. His parents, Cecil Boone and Ila Wells, both born in Hamilton, moved to Perry in 1933 during the hard times of the dust bowl and depression. Norman and his brother, Cecil Jr. grew up and went to school in Perry. Norman and Cecil Jr. were working together for Empire National Drilling Co. in 1955 when Cecil Jr. was fatally injured on the floor of the rig they worked on. Cecil Jr. died in Normans arms on February 15, 1955. Norman and his father then continued on in the cattle business in Perry and surrounding communities. He also started selling Allstate insurance in 1958 and quickly became a top salesman. When Normans father became ill in 1963 he stayed here to care for him in the hospital. Cecil Sr. died in Normans arms on November 15, 1963. Norman and Frances went on to raise their family and built a successful insurance and real estate business. Norman served on the Perry School Board in the 1960s, was the Mayor of Perry from 1972 to 1974 and Street Commissioner from 1986 to 1990. Normans office was the Kumback Lunch on the Perry square. Norman was very active in local and state politics. He worked on many campaigns and served as the Noble County Democratic Chairman. In 1982 his dear friend, Governor George Nigh recognized his service to the State of Oklahoma by appointing him as chairman of the Water Resources Board, the predecessor to the Department of Environmental Quality of today. Norman and Frances survived several hard times and tragedies in their 59 years of marriage, but none like the loss of two of their children. Most recently, their only daughter, Jana Boone on June 23, 2010. On March 27, 2005 Norman lost his son Jim Boone, who passed away in his arms. Norman never met a stranger and always stood up for the underdog. His generosity was well known to anyone who ever came in contact with him. Funeral services will be at 2:00 p.m. Friday, August 26, 2011 at the First Baptist Church in Perry, Oklahoma. Rev. Sam Davison will officiate. Interment will follow in Grace Hill Cemetery. Services are under the direction of BrownDugger Funeral Home. Family will receive friends 6:00 p.m. to 8:00 p.m., Thursday, August 25, 2011 at BrownDugger Funeral Home. Memorials may be made to the Alzheimers Association in care of BrownDugger Funeral Home, 1010 N. Seventh Street, Perry, OK 73077. Norman is survived by his wife Frances Boone of the home, two sons John Boone and his wife Cindy of Perry, Oklahoma and Daniel Boone of Stillwater, Oklahoma one daughter Kimberly Lawson of Salem, Oregon seven grandchildren, Melissa Boone Osburn, James D. Boone, James C. Boone Jr., Justin Boone, Morgan Barnes all of Perry, Oklahoma, Cherish Mireles of Broken Arrow, Oklahoma, Brittany Ballew of Tulsa, Oklahoma, twelve great grandchildren, Allyson Boone, Blake Norman Boone, Annah Boone, Jaxon Boone, Riley Barnes all of Perry, Oklahoma,, Levi Stills, Alisa Mireles, Alexis Mireles, Mariah Mireles, Dallas Mireles all of Broken Arrow, Oklahoma, Ryder Baker, Presley Zakrzewski both of Tulsa, Oklahoma. He is preceded in death by his parents Cecil Boone and Ila Boone and his brother Cecil Boone Jr, one son Jim Boone and one daughter Jana Boone.